The online Mentorship programme is an ongoing initiative launched by the OHBM Student and Postdoc Special Interest Group in 2017. In this programme, mentors and mentees from all around the world are matched on the basis of their experience and expectations. In this relationship, the mentor supports the mentee in growing in academia, by providing advice on topics such as—but not limited to—personal development, grant writing, and work-life balance. We also encourage participants to meet in person during the OHBM Annual Meeting. What is unique about this program, is that every member of the OHBM community can be mentored but also become a mentor; we host young PIs who still seek to be mentored as well as PhD students who volunteer to mentor others. As a rule of thumb, we keep at least 3 years of experience difference between mentors and mentees. So far, over 500 participants took part in the first two rounds of the programme. The participants are gender balanced, and come from all around the world. We observe that over 25% of participants are willing to take part in the programme in a double role, as a mentor and as a mentee, which indicates that the participants are willing to contribute and give back to the community for their mentee experience. We also observe an increase in the amounts of requests for mentoring on leaving academia or transition into industry. 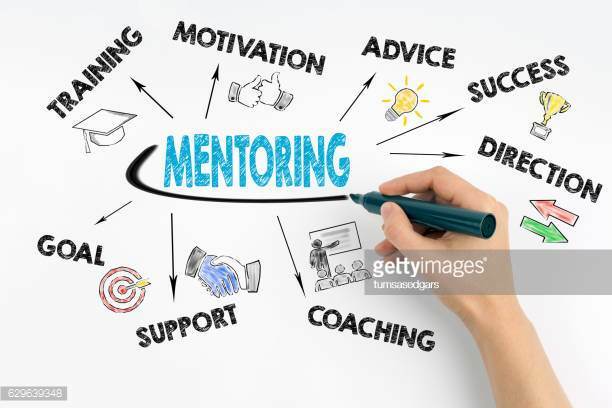 Lastly, the expectations and competencies declared by participants around the world are very similar, which is an indication that an online mentorship overseas is necessary and useful. Read more about our programme on the OHBM blog. The registration for the third round of the mentorship programme is now closed. The registration for the fourth round will start in the summer/autumn of 2019. Stay tuned! Distribution of the 450 participants in our mentoring program around the world.